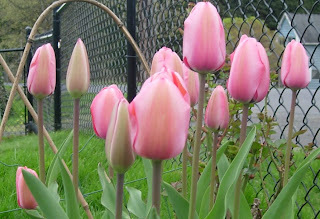 My tulips are blooming and I couldn't be more delighted! I have been enjoying salmon pinks and bright oranges. 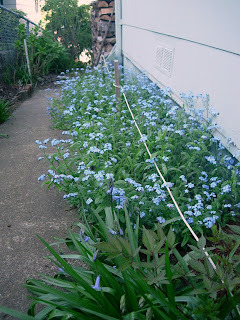 Along the side of the house, I have a little shade garden and the forget-me-nots are fully in true blue color. The peony's are beginning to bud and I find myself just sitting back and enjoying the spring color. 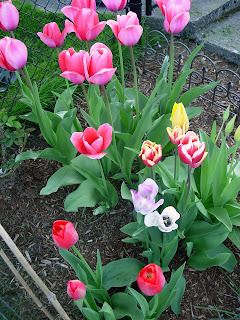 I have carefully planned my flower beds to be 3 and in some cases, 4 season beds. 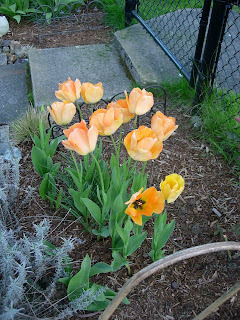 Currently while the tulips are blooming and the shrubs are sprouting new bright green and red color, the lillies are rising higher and I am expecting my next crop of color to begin in May, for late spring color. 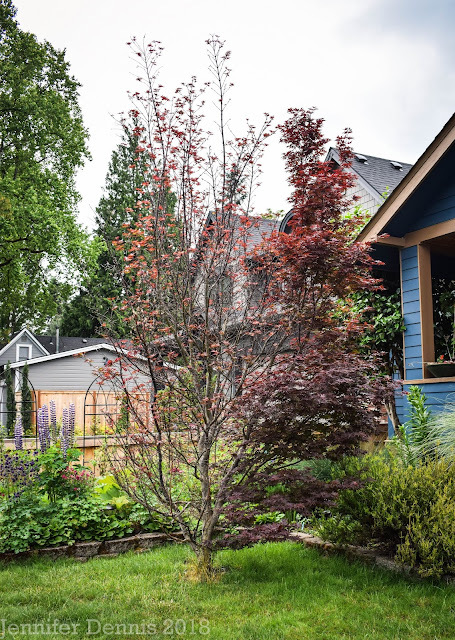 The planning I did in the fall while I mapping out my bulb beds is paying off now. If you haven't begun your hanging baskets, start planning/purchasing now....Mother's day is around the corner and making Mom a hanging basket for her to enjoy all summer is a thoughtful, original and inexpensive way to say 'Thank you Mom'.